The Russian government has expanded the list of countries, which supported EU sanctions against Russia, and has introduced the food ban against them, Russian Prime Minister Dmitry Medvedev said. 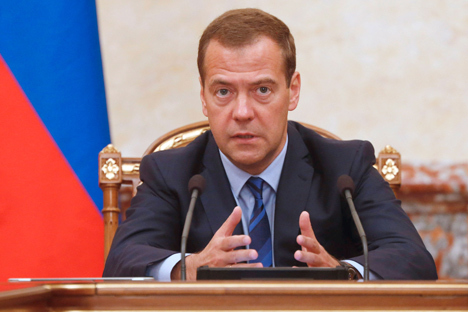 "The government order expands the list of countries, against whom our state is introducing responsive economic measures," Medvedev said at a cabinet of ministers meeting on Aug. 13. "Now a number of countries have been added to the EU, Australia, Canada, Norway and the United States, from whom certain types of agricultural products were banned in August of last year, a whole number of countries - namely Albania, Montenegro, Iceland, Lichtenstein and under special circumstances - Ukraine," the prime minister said. "As concerns Ukraine, the ban on the import of agricultural products will come into effect only if the government of this country adopts the economic portion of the association agreement with the EU, which Kiev signed in June of last year," Medvedev said.